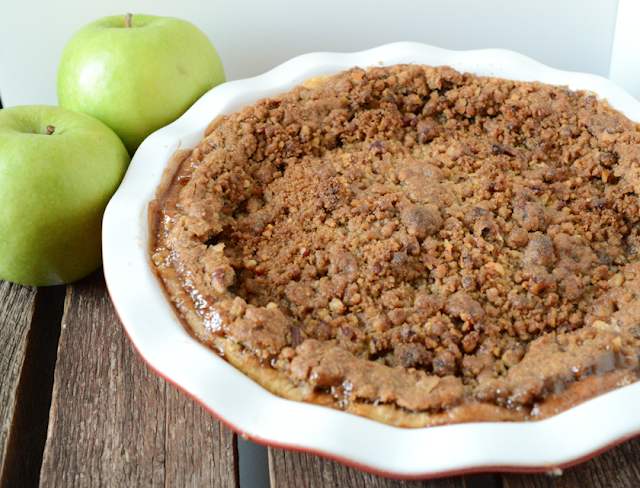 5 Things I'm Loving Right Now (5 Thanksgiving Pies) - A+ Apple Pie ~ Learn, Live, and Explore! 1. Prepare the crumble topping. Cut the butter into dry ingredients until it forms small balls (crumbles). Use a food processor to facilitate the process. 2. 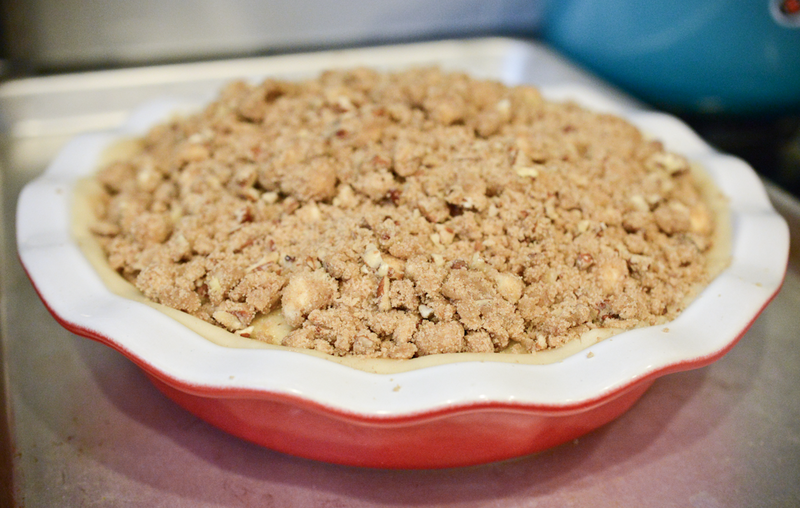 Fit pie crust into a 9" pie pan, crimping edge against pie pan, and preheat oven to 400 degrees. 3. Peel and thinly cut apples. Toss with the lemon juice. 4. In a separate bowl, combine sugar, flour, cinnamon, and nutmeg. Toss with the apples, then place apples in thin layers inside the prepared crust. 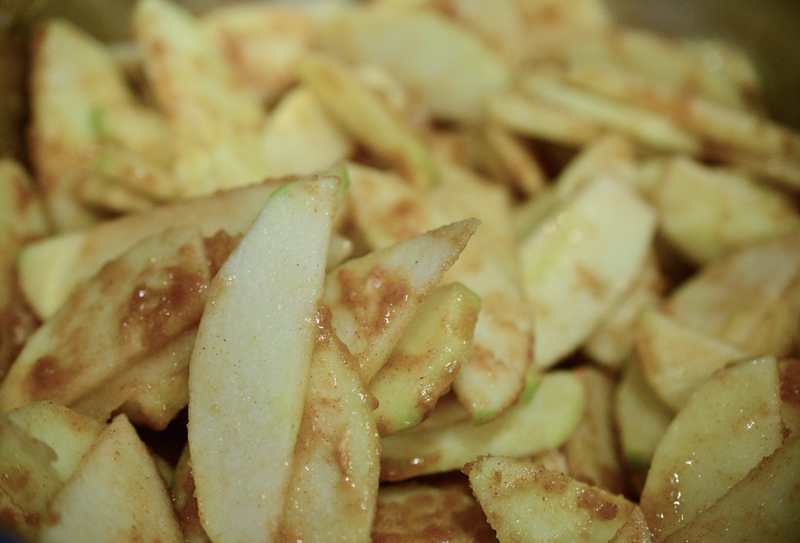 Sprinkle topping over apples. 5. Bake for 15 minutes at 400 degrees, then turn down the oven to 350 degrees and continue baking for an additional 40 minutes. If edges are starting to brown too much, cover loosely with foil. 6. Cool at least 45 minutes before serving. Serve with vanilla ice cream or whipped cream.